If I am going to make a modular, ‘What If’ layout based on Thaxted it would be good to start with a country terminus module. 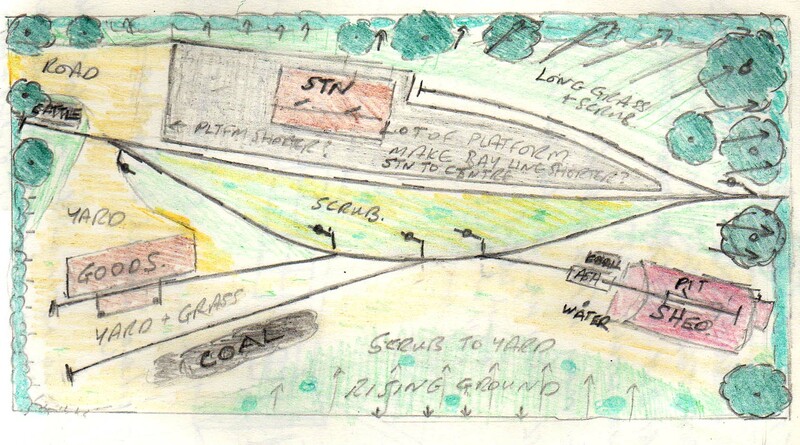 To create a plausible light railway terminus my basis requirements would be a passing loop and a couple of sidings. To add some operational interest (and because these existed at the real Thaxed terminus) let’s add an engine shed and a bay platform. ANOTHER BRILLIANT PRESENTATION OF THE “END OF RAILWAY BRANCH” CONCEPT…ONE THAT i’M USING MYSELF! Hi Jonathan – They say great minds think alike! I look forward to seeing how your ‘end of branch’ works out.